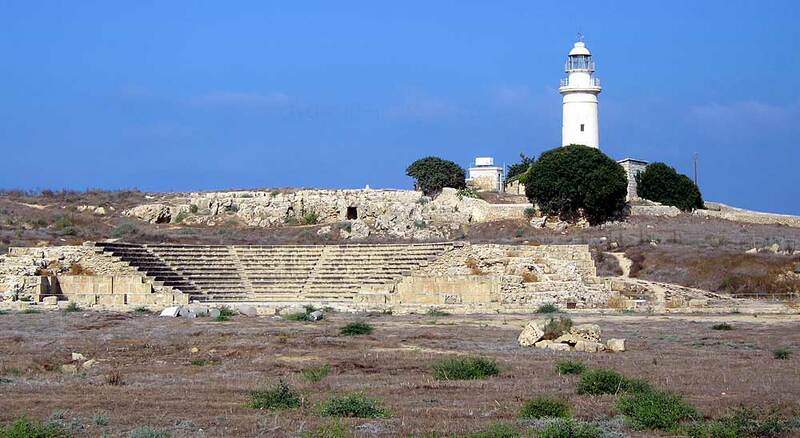 This page covers Paphos headland site which includes the lighthouse, the archaeological remains and information on birdwatching and other wildlife likely to be encountered there. In ancient times, Paphos was the island's capital, and In Kato (Lower) or `New` Paphos, ​the remains of the Roman governor's palace and its well-preserved mosaics are a major draw for visitors. Paul the Apostle visited the town during the first century AD. 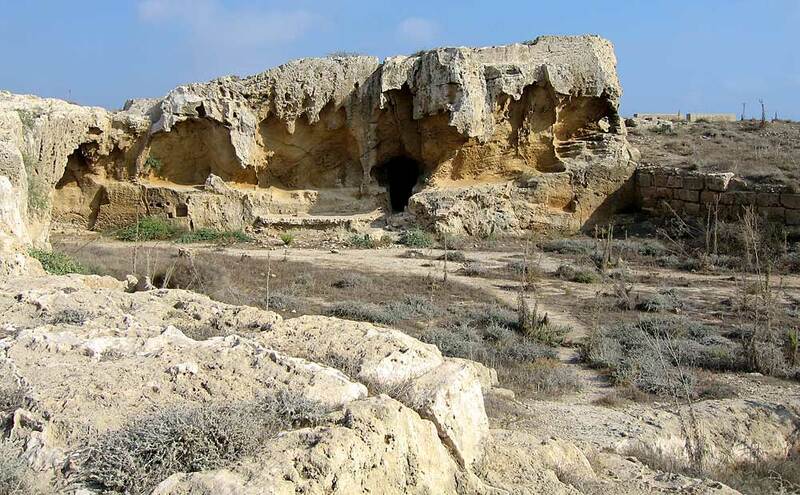 (To edit*) ​and the Tombs of the Kings (Link to follow) one of the island`s major archaeological attractions. Paphos is also one of the island`s three main birdwatching centres, the others being Limassol in the centre of the south coast and Larnaca 75km further east. ​Even if visitors don`t intend to venture from Paphos town centre, the headland is always worth exploring particularly during the spring and autumn migration periods. In the above shot, a couple of serious birdwatchers are checking out the area from the walled viewpoint. The headland, topped by a lighthouse, is located to the north and west of the harbour and holds an archaeological site with a Roman agora or marketplace, an odeon and fine mosaics. There is an access charge with the main entrance on the waterfront close to the old Crusader fort. Once through the gate, the whole area can be explored. 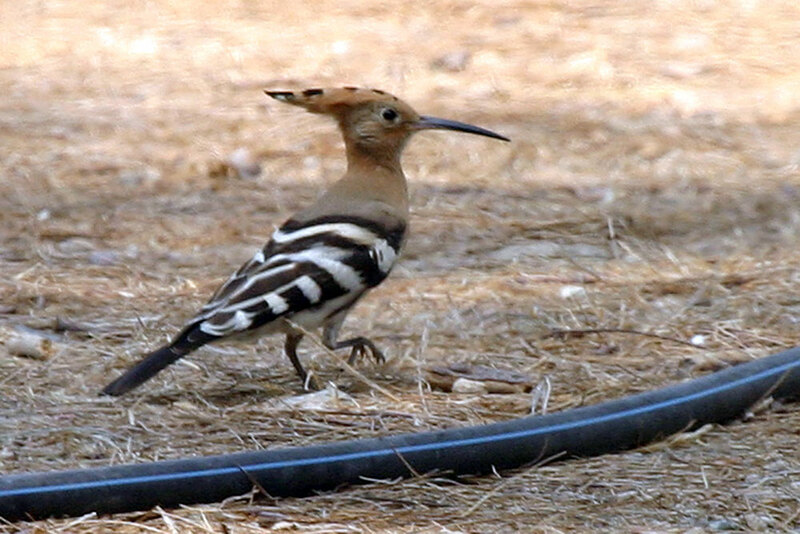 This Hoopoe was foraging under tall trees near the entrance. ​The Odeon dates from the 2nd century and was built to seat 1,200 spectators. It is still used for open-air performances throughout the year. In years gone by, the fence surrounding the headland was poorly maintained, even non-existent in several places, and visitors could wander in and out to explore without paying unless they wanted to view the mosaics. On my last visit, however, a new fence had been erected and the gravel track outside the perimeter, a popular local walk, upgraded and tarred. The rocky shoreline around the headland can be checked from the track. 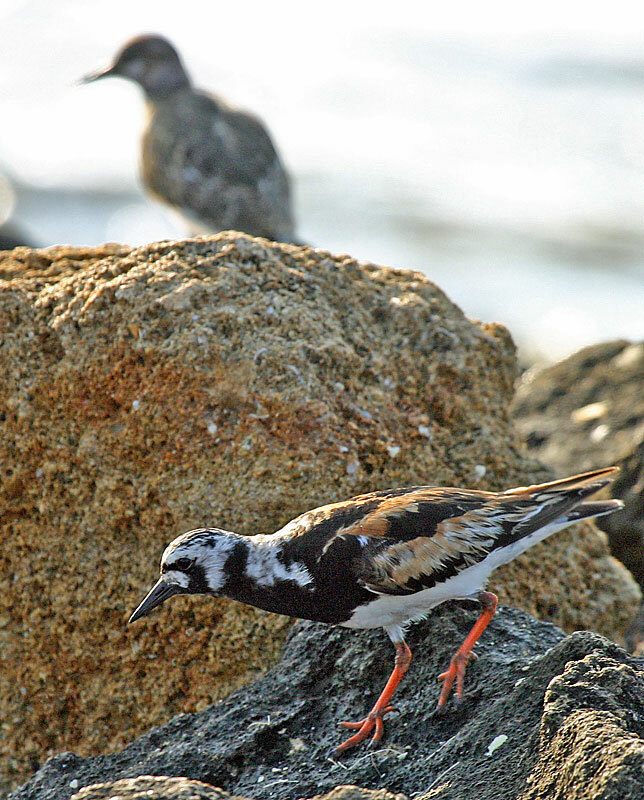 I`ve seen various waders including Turnstone, pictured here, and Kingfisher. Flocks of birds can often be seen flying offshore from here, making their way along the coast, including large species such as egrets, storks and flamingos. Spring is the best time for migrants and passage can often start as early as February. Some species, also resident in the UK, are immediately identifiable but many others, either migrants or resident breeders, are harder to name unless you are an expert birder. Wild flowers burst into bloom in spring and summer and make the island a colourful place. Despite several holidays on the island, spring and autumn, I`ve never witnessed a huge fall of migrants as often described in tourist and birdwatching books. Tracks and rough, stony paths criss-cross the headland and allow the whole area to be checked. The habitat consists of open grassland, trees, bushes and rocky terrain with several caves towards the western perimeter. 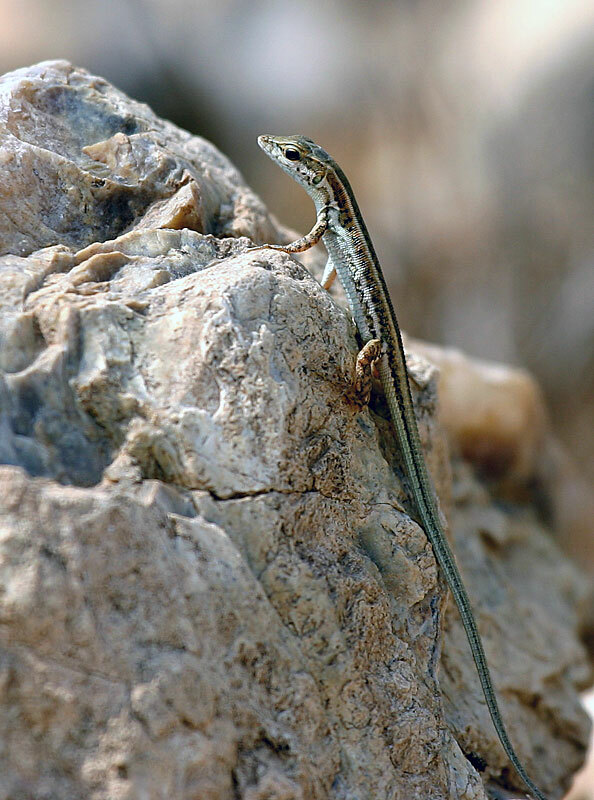 The dry-stone walls are also favoured by some of the smaller species. Crested Larks are year-round residents and fairly easy to photograph. 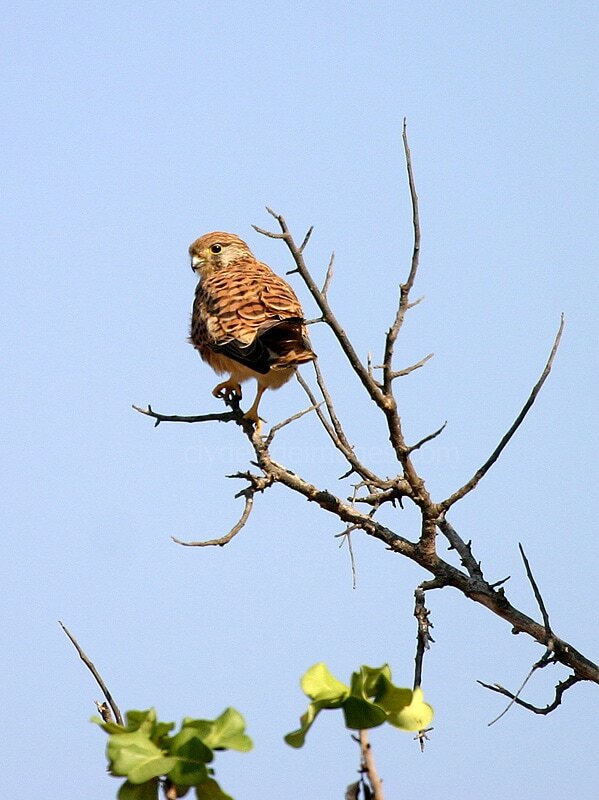 Kestrels are very common throughout the island and are the only birds of prey I`ve managed to photograph here. Although spring migration involves the largest number of species, most raptor passage occurs in autumn. Unfortunately illegal trapping and killing of birds occurs on the island and this takes a huge toll of songbirds and finches. 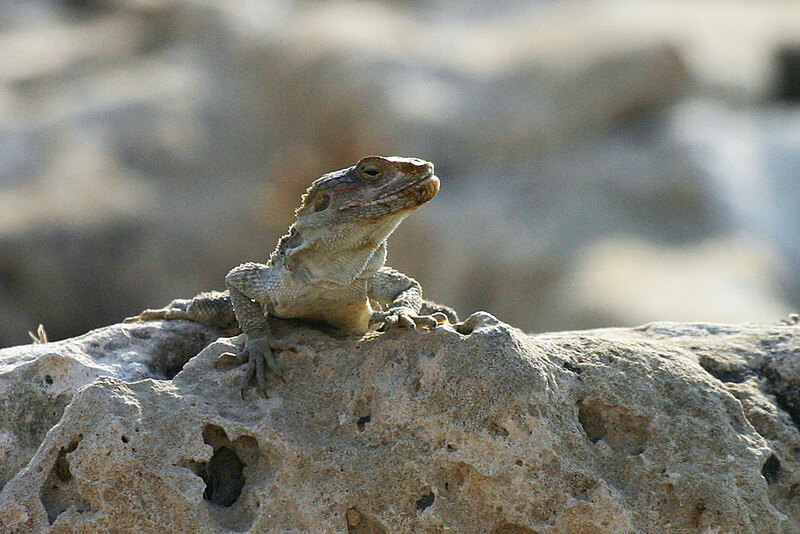 ​Apart from the birds, there are plenty of lizards on the headland, many being quite happy to pose for a photograph. 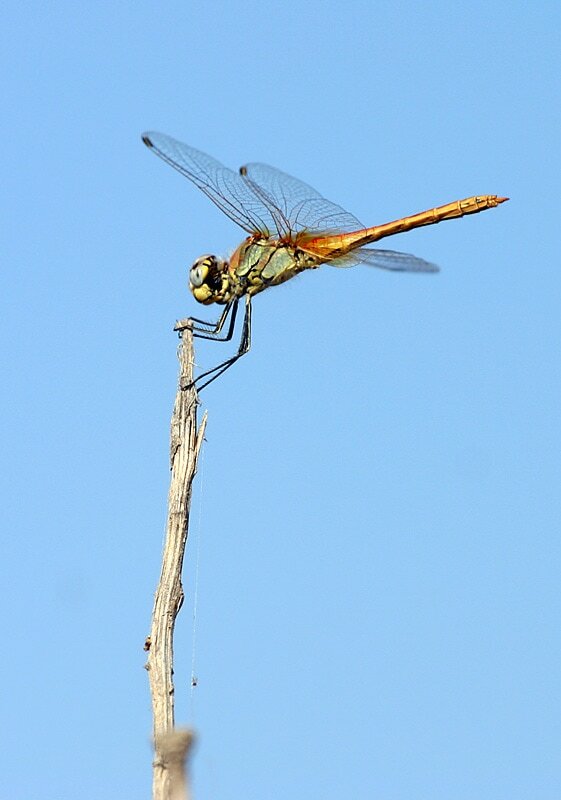 Dragonflies also make great subjects for the camera.